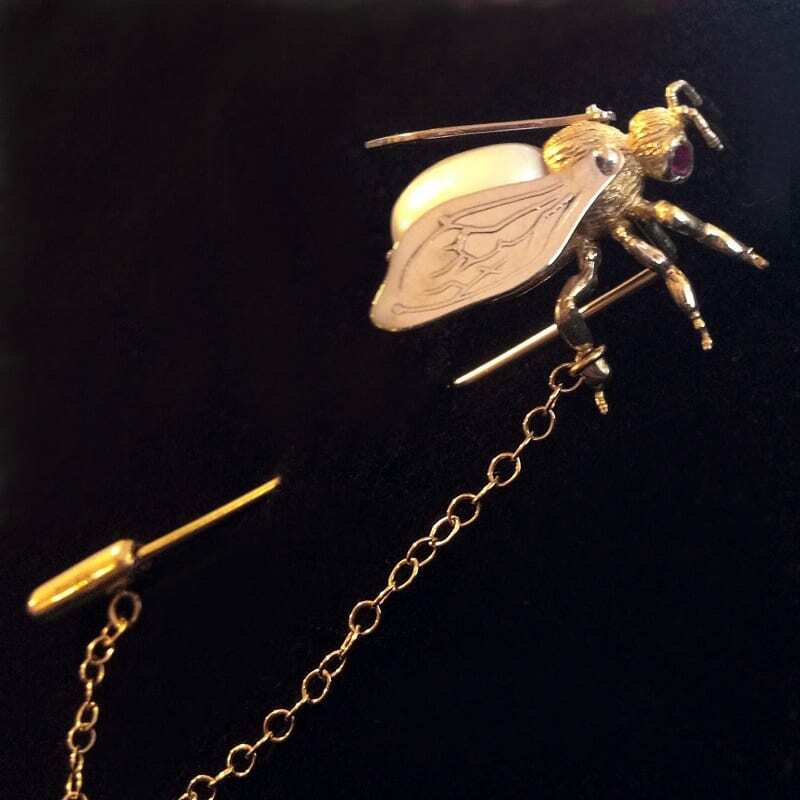 This glorious bespoke bee pin is hand crafted by Goldsmith Julian Stephens for a lovely client who had seen an image of a similar design in a fashion magazine and wanted to create her own design, taking inspiration from the image she had seen. Julian took this brief and created a truly magical end result, which is packed with meticulous detailing. 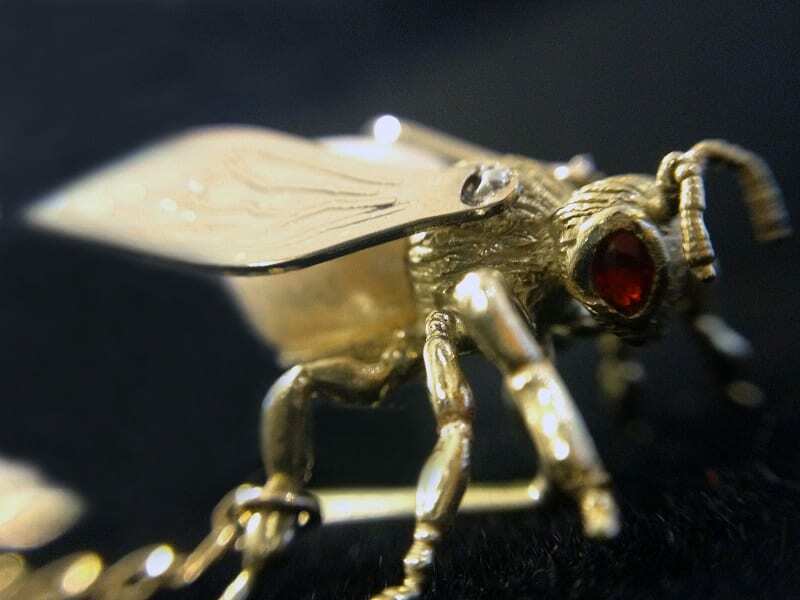 The stick pin and bee are hand made using solid 18ct Yellow Gold, with a pair of beautiful Maquis cut Rubies expertly flush set in the eyes of this sweet little bee. 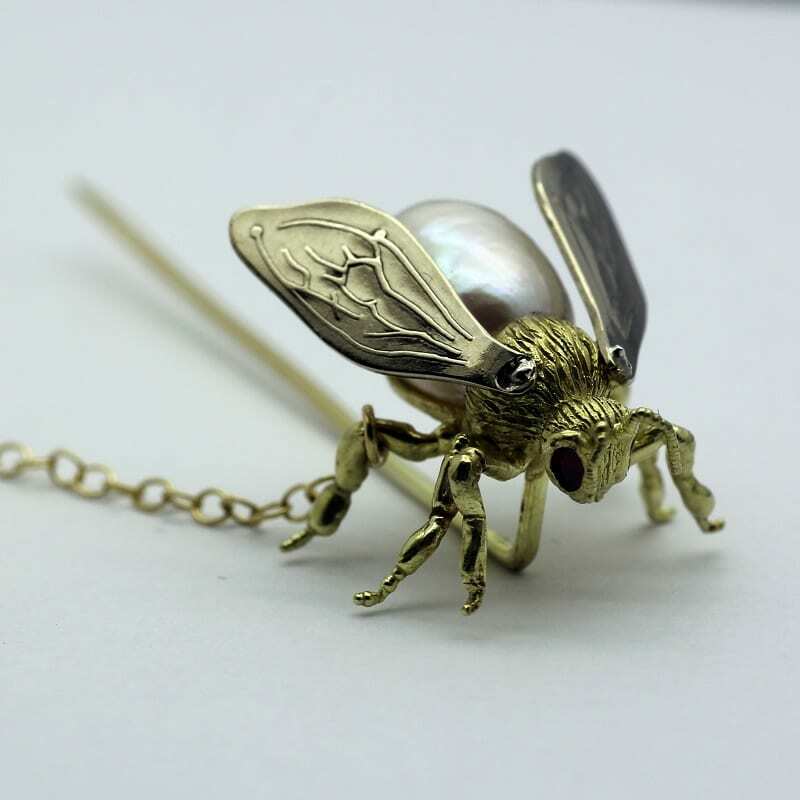 Adding a stunning pearl to form the body of the bee design and adding glorious texture through hand engraving to create a naturalistic and uncanny miniature bee sculpture that is in equal measures an exquisite example of Fine Jewellery and a piece of wearable Art.